For service from 21 St-Queensbridge and Roosevelt Island, take the F to Roosevelt Av and transfer to a Coney Island-bound F .
RIOC is not reporting any Roosevelt Island Tram advisories for this time. Be prepared for crowded Trams going into Manhattan. I'm looking at Roosevelt Island as a possible location to rent. Is the tram outage a serious problem for current potential residents or mostly just a hassle for those who normally use the tram to get to the upper east side as part of their regular commute? I would be taking the F train either way. I spoke to a leasing agent who basically glossed over the problem, but I'm not sure if their view is trustworthy. Some further insight would be much appreciated. The tram is scheduled to go out of service in March 2010 for what is said to be a 6 month time period. The fear of some residents is that it will take longer than 6 months but of course there is no way of knowing. Also, the work replacing the tram has been postponed 2 or 3 times already in the last year. If the tram does go out of service there is a real concern among some residents that the rush hour commute (7:30 AM - approx 9 AM) from Roosevelt Island to Manhattan will be very overcrowded. 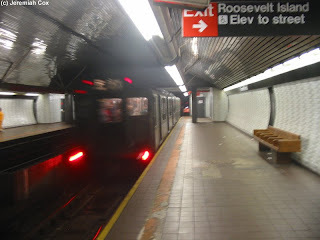 At present, there are times during rush hours when Roosevelt Island subway riders have to let one or two trains pass without getting on because of overcrowding from Queens. In June 2008, the Tram was out of service for about 10 days. There were no significant problems reported with F subway service during that time. However, since that time there have been 2 new buildings constructed and the residents from these building will certainly add some additional crowding to the F Train. In my opinion, whether the additional subway overcrowding caused from the Tram outage is merely a hassle or something more significant depends upon what you are used to. I used to live on the UES and took the 4,5,6 trains at Lex/86th street. Now that was an overcrowded train station. The L at Bedford is overcrowded. For me, the F is not and probably will not be terribly overcrowded during rush hours when the Tram goes out of service. Others may and do feel differently. Another problem though is that on occasional weekends, there are subway disruptions of F train service in one direction or the other. If that happens during the tram outage, weekend travel from and to Roosevelt Island will be a real pain. Thanks, I've decided to continue hunting. Luckily in this market the options are plenty. I can see the transit issue on weekends being a pain. 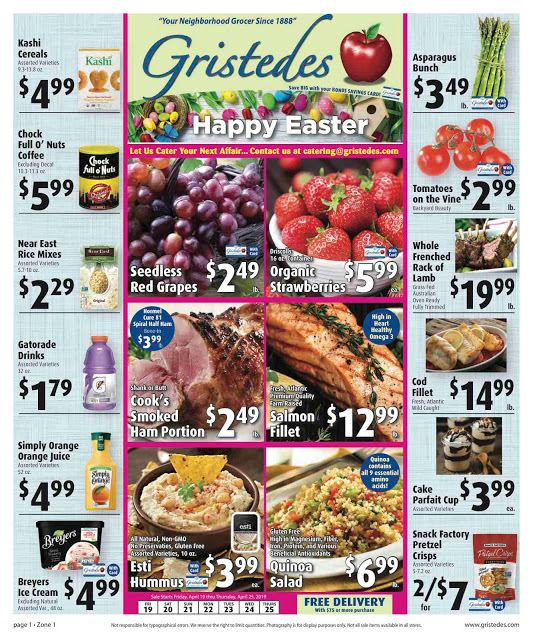 If there were more shops on the island it might make for a better situation. That being said, I can see it as a great place to escape the city. Without going too far away. 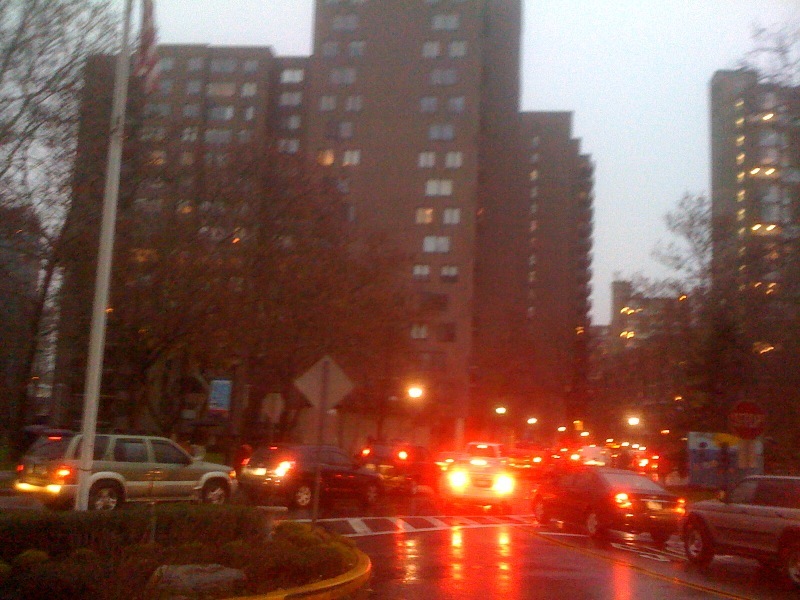 In regard to Roosevelt Island train service during the Tram outage, it was reported during the December RIRA meeting that a group of local elected representatives, RIOC staff and RIRA members will jointly meet with MTA engineers next week to try and find a way to bring additional subway service to Roosevelt Island during the Tram outage for the 2 hour morning rush hour commute. One proposal is to run 2 Q trains per rush hour (a total of 4) from 21st Queensbridge to Roosevelt Island, 63rd/Lex, 57th Street, etc and then down to 34th street. Previously similar pleas for Roosevelt Island Q train service have been rejected by the MTA as being not feasable but perhaps this new proposal which limits Roosevelt Island Q train service to a total of 4 trains for the morning rush hour during tram outage will be possible. If additional trains are not possible, there is always the Roosevelt Island Sling Shot or maybe a zip line over the East River. while waiting for the arrival of Santa Claus. 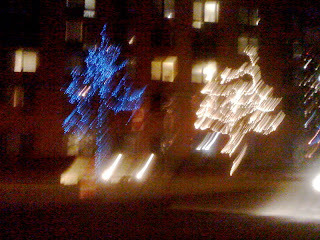 I also liked the blue lights strung on trees by the Blackwell Turnaround. The only night's drawback, at least for me, was that it was a bit too warm for early December when I expect and like a chill in the air. Have you been a good boy or girl this year? Santa Claus and Bruce Springsteen want to know. 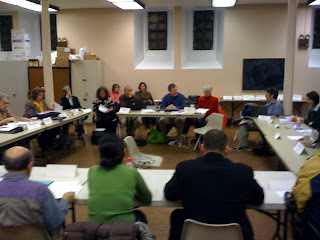 PLEASE TAKE NOTICE that a meeting of the Audit Committee of the RIOC Board of Directors will be held on Thursday, December 3, 2009 at 5:30 p.m. at the RIOC administrative office, 591 Main Street, Roosevelt Island, New York. 3. receive an update on the FY 2009-10 RIOC budget. The meeting will be webcast and available for live viewing and archived here. 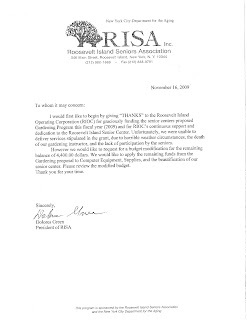 The RIOC web site has more information on Roosevelt Island finances here as well as a Mid Year Financial Report for six months ending September 30 2009. 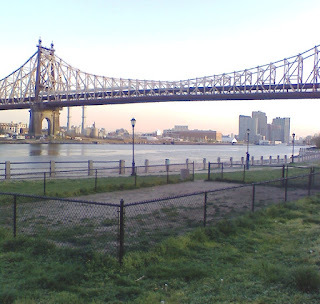 Previous NY State Comptroller audits involving Roosevelt Island are listed here. Last night's scheduled RIOC Operations Committee meeting was not held due to a lack of a quorum present resulting from the illness of several Committee members. However, an information gathering meeting took place under the Chairmanship of RIOC Director David Kraut focusing on the status of the Blackwell Park Master Plan. ... A new issue in the Blackwell Park Master Plan Redesign saga was raised by Ms. Abramson during November 20 RIOC Real Estate Development Committee meeting. Ms Abramson claimed that in addition to the Southtown Tot Lot being moved to Blackwell Park when construction of Riverwalk Buildings 7-9 commences, the Southtown Development Agreement requires RIOC to also move the Southtown Dog Run to Blackwell Park as well. Ms Abramson did not say what feature currently in Blackwell Park such as the Basketball Courts, Fountain, Lawn or trees would have to be removed to accommodate the dog run. During yesterday's meeting we learned from RIOC General Counsel Kenneth Leitner that Ms. Abramson was incorrect when she stated that RIOC was legally obligated under Southtown Development Agreement to install a dog run in Blackwell Park. According to Mr. Leitner, after reviewing the Agreement he found no mention of a dog run in the Agreement and concluded that no such obligation existed. Ms Abramson did not say what the basis was for her earlier conclusion that there was such an obligation. Mr. Leitner also indicated that the Southtown Riverwalk Developers, not RIOC, were obligated to replace the current Southtown Tot Lot in Blackwell Park upon construction of Buildings 7-9 on the Queens side of East River. This incident is a small but telling example of the importance of having Roosevelt Island residents on the RIOC Board who are knowledgeable and caring enough to effectively monitor the actions and decisions of RIOC staff as it pertains to the quality of life here on Roosevelt Island. In the past, the RIOC Board would probably have accepted Ms Abramson's statement regarding the dog run as fact and moved on to another matter. THOSE DAYS HAVE CHANGED! 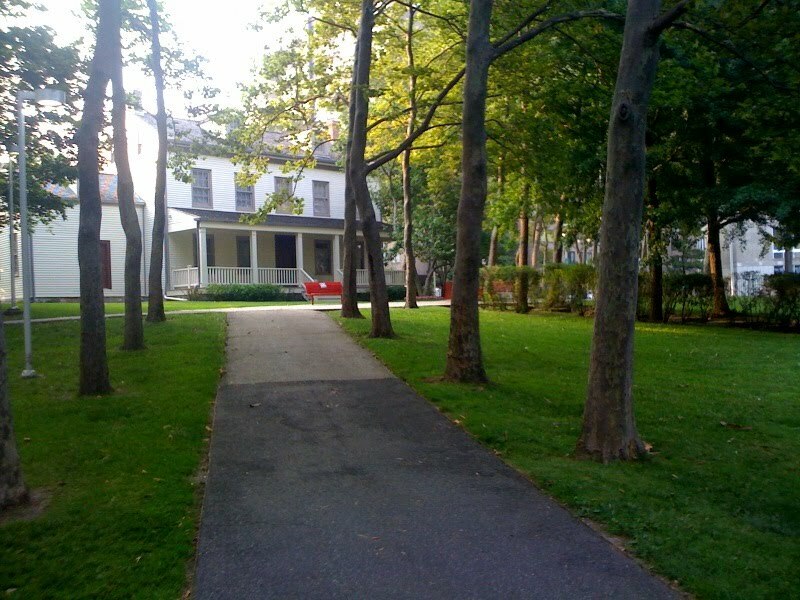 It was also decided that the ad hoc Blackwell Park Task Force Committee, composed of Roosevelt Island residents, will be brought in under the authority of RIRA so that RIRA will continue to be the official voice of the community to RIOC. RIOC will move forward on the Blackwell Park Master Plan based upon the recomendations contained in the Blackwell Task Force November 6 letter to Ms. Abramson. Since the Saturday Walk-through with Lee Weintraub, a Task Force Committee has met several times for many hours over the past two weeks to formulate a response to what was presented and provide feedback on our priorities. The committee has remarkable consensus on virtually all of the recommendations that are presented below. A) The committee is enthusiastic about the proposed placement and design of the new Tot Lot on the south side of the park. We feel strongly that the park should be a place for pure recreation and play and that it should not have a “science-theme”. We concluded that the best place for the future dismantled tram pieces is the glass enclosure of Motorgate, especially because of the need to continue protecting them from the effect of the elements and since Motorgate is a natural extension of the industrial art motif. B) The committee is unanimously opposed to relocating trees. Such relocation is costly and unsafe to the trees. This is not to say that we oppose moving one or two trees to fulfill a specific objective, but we believe that the wholesale relocation that was presented at the walk-through was very undesirable and unnecessary. C) The committee is also almost unanimously opposed to relocating the basketball courts. We are certain that the basketball courts’ present location is optimal. The 40 to 50 trees that ring them are appealing and block some of the view of the power plants. The courts should be resurfaced so that they drain properly and so that drains are not so prone to clogging by leaves and other debris. D) We applaud the plans to make the park entrance more appealing, and encourage bold efforts in this regard. We all agree that the green fence next to 504 - the former Lillies Blackwell School and the unused area that it encloses should be removed in favor of a more open southwest vista. Benches should be replaced with more appealing and durable ones – such as those in and around Octagon Park or LIC park in Queens below the Pepsi sign. At the entrance, we also encourage consideration of a pergola, arbor area, trellis or garden, to direct the attention of passersby to the direction of the park. E) The sloping lawn next to the Blackwell school already has a nice open feel to it, and will become larger once the area inside the fence is integrated into it. The grade extending to the river can be modified by terracing. Terrace walls can be used as natural bench backs. F) The former “Castle playground” should be considered as the locale for a fitness area for teens and adults. G) The western border overlooking both basketball courts should be wheelchair accessible. The area between the two courts (the red pergola) can be remodeled but should continue to provide ample seating. H) The ambience of the park would be enhanced with the addition of appropriate sculptures – perhaps in the area just south of the Blackwell House back deck. I) Park lighting needs to be upgraded, both at the basketball courts and along the paths and playgrounds, and by any sculptures. Improved lighting around Blackwell House has already made it more attractive at night and has reduced the risk of vandalism. J) The path of stairs leading from the courts to the back of Blackwell House is attractive and should remain. This area would benefit from a less cluttered appearance. Hedges should be trimmed back. Flowers or a garden should be considered if there is a suitable location either here, or at the Park entrance. All the walkways would be improved by use of wheelchair accessible brick or dense gravel material. K) The committee feels strongly that significant expenditure around the 504 building should be deferred until its final use is resolved. Clearly, requirements for this area will be different for a library, than it will for, say, a restaurant. L) The committee wants to see nearby bathroom facilities, but not in the park. Ideally, the new tenants for 504 Main Street or other nearby storefronts would offer facilities. M) The “Castle” had a quality about it that challenged imaginations and was beloved by generations of kids. We’d like to see something like it replace the play equipment currently in place, possibly a “cityscape” or some other equipment that lends itself to exploration the way the Castle did. 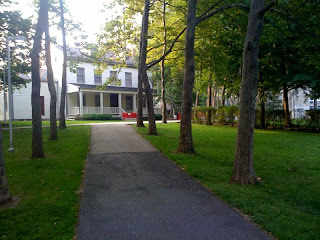 N) Blackwell Park renovation needs to be considered in the context of the Island as a whole. While the Task Force, as per your request, has focused on Blackwell Park, the committee does not believe that it should take priority over other pressing issues such as the repair of rusted promenade railings or rehabilitation of the lighting and grounds at the pier south of the Meditation Steps. 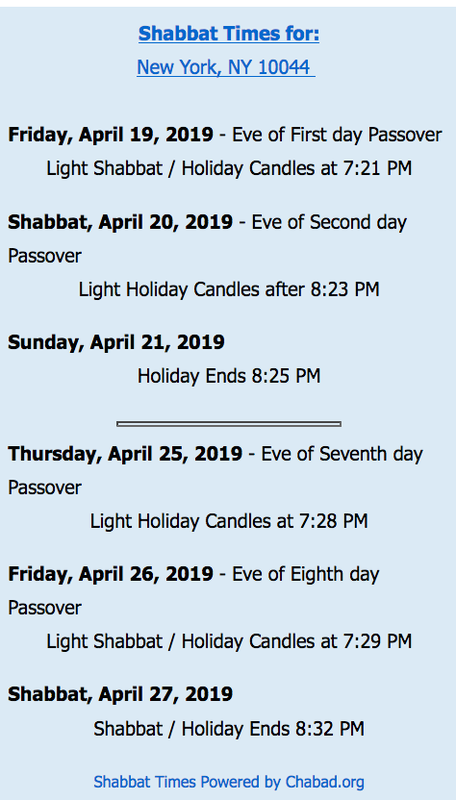 The committee extends a very warm invitation to you and Mr. Weintraub to discuss these recommendations any weekday evening or weekend at either the RIVAA gallery or Rivercross Community room. The task force will have continued involvement throughout the project. RIOC Director Fay Christian remarked that she thought it unfair that Southtown residents had dogs while it was banned from most other parts of Roosevelt Island. We learned that the reason for this is not any policy enacted by RIOC but by the individual building owners who have incorporated "NO Dog Policy" in their leases. 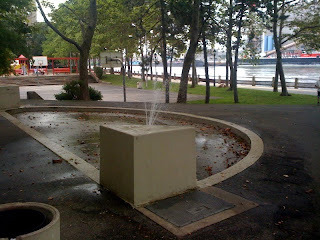 Here's a great video about Roosevelt Island - A Place Without Dogs. As to if or where the current Southtown Dog Run will be relocated, that has yet to be decided. Stay tuned! 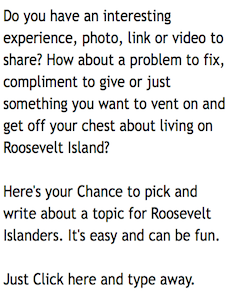 Nikki Leopold, Executive Director of Island Kids, sends the following invitation to the Roosevelt Island community. Fee: $10 per child. Registration is required. Please contact islandkidsri@gmail.com for more information and to register. 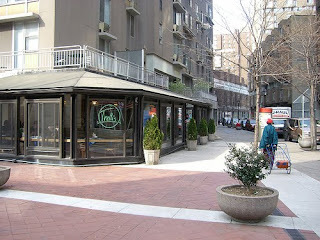 Looking For That Fantastic New York City Romantic Date - Try Roosevelt Island's Trellis Diner. Huh? But if you are looking for something a little bit different, a contributor to Associated Content suggests - Now Don't Faint From Shock - a Roosevelt Island institution. The Trellis Diner. After that romantic Trellis experience and waterfront stroll, remember the Roosevelt Island Tram was named the second most romantic place in New York City. To facilitate the efforts of building a more collaborative community I too have recently designed a free website for Mothers on the Island. The objective of the website (www.rimoms.com) is to help all the Moms and Moms-to-be on the Island to connect with each other and build up a strong community. The website has a Forums and a Calendars feature through which I am hoping that more mothers will get to know each other and attend and organize kid friendly events on the Island. Give it a try Roosevelt Island Moms. The Roosevelt Island Residents Association (RIRA) Common Council will be meeting tonight. Prior to the start of the meeting there is an opportunity for the public to present any issues of concern to the Council. Below is the Agenda for tonight's meeting, minutes from November 2009 RIRA Common Council Meeting, Island Service Committee report and request from Roosevelt Island Senior Association (RISAR) to reallocate Public Purpose Funds received from RIOC. The meeting was called to order at 8:20 p.m.
2. Treasurer’s Report: $_____ in Checking; $______ in LAF Total $_________. - Inquiry by A. Hamburger regarding whether funds will be transferred to a local bank. Treasurer states that this action was put-off due to a question regarding the Constitution. This issue has been answered and there is no problem. Funds will be transferred as soon as possible. - President requests that the Treasurer investigate whether directors/officers insurance is necessary. 4. Reinstatement of Rachel Reid Chung - Motion by A. Hamburger; second by Plastino -Unanimous approval. - Subway service. A Meeting with the MTA will be held on 12/1/09. The President plans to see the extent of how the MTA can accommodate the Island’s changing needs. If they do not respond we will “push the button”. The President asks residents to call our elected representative because they track the number of calls, which will make the difference when considering the weight of their constituents. In the past, the MTA has dismissed our suggestions and such increased the weight will put more pressure on MTA to make a change. 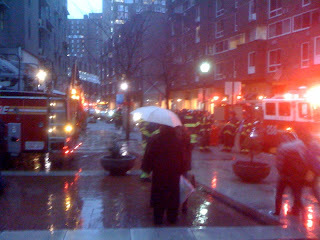 We may need to be prepared at the next meeting with a quick response depending on the success of the 12/1/09 MTA meeting. - Blackwell park: The President briefly commented on the innovation of watching a group collaborate and come to consensus. The whole island has its act together on this issue and working well. President defers to M. Katz. - A cease and desist from department of public health has been issued against RISR. A problem occurred stemming from the memorandum of understanding with RIOC and public safety. They have failed to complete mandatory paperwork when they go on a call, comprising a record of the call and a necessary part of treatment. While searching for these reports at public safety, the DPH observed a RISR vehicle, registered as an ambulance, but a private vehicle. Furthermore, despite the requirement that Mike Acevedo, the head of the organization must be an EMT, he is not. - Island House and Rivercross are inflicted with bed bugs. The committee is considering a townhall on the issue, which would be previewed with a fact sheet to determine interest. Committee Motion: The RIRA Common Council supports the presence of commuter ferry service on Roosevelt Island and urges the choice of a ferry docking site to best expedite the start of service and that could potentially be a permanent site. - Discussion on the motion: S. Marcus expresses questions regarding the language regarding a permanent site. I. Cruz-Perez inquires as to what potential sites are being considered. M. Katz states that on the west channel, the only site that the Coast Guard will consider is the Octagon pier, but this pier is not yet equipped. M. Katz further advises that Becker has spent hundreds of thousands of dollars to get approvals for this pier. P. Bozzano-Barnes is hosting meeting on this issue and it is important that RIRA go on the record. Thereafter, an off-topic discussion was held regarding the appropriate location for the ferry dock. - Motion to Amend by substituting the words “creation of a” for “presence” and change to read “potentially become a permanent service”. Movant: J. Mincheff; second by P. Bozzano-Barnes – Vote: Amendment passes by unanimous vote. - Update regarding Blackwell park from S. Marcus. The issue of public restrooms was tabled with general consensus that the location should be off site. Consensus also reached that there is no need to move basketball courts to create open space as open space already exists. The group largely opposed moving trees, especially considering the cost of $25,000 per tree to do so. J. Terranella inquires of the tight deadline discussed at our last meeting. The President advises that the October taskforce meeting was cancelled and that it appears this strategy failed and RIOC has allowed the residents to move the process along. Per S. Marcus, no RIRA action is yet required, but possibly depending on how the cooperation continues. A. Hamburger notes that Rosina has asked the Riverwalk Management to provide a representative to the taskforce. S. Marcus believes this is her attempt to undermine the newly formed committee and control the process despite the newly formed collaborative group. - M. Katz has not yet received any response from Jose Serrano about RIOC appointments. He has now contacted Liz Kruger, state senator from across the river. She responded and asked for name of appointments and what needs to be done. 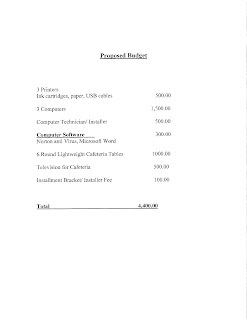 Question of whether to donate $275 towards Holiday lights. A. Hamburger states that while he is usually in favor, there is not enough money this year. 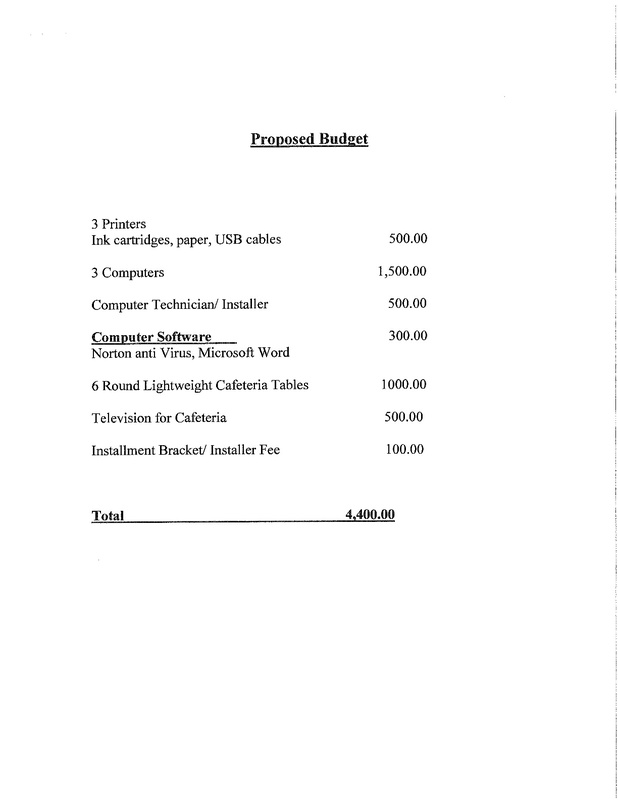 J. Mincheff proposes comprimise of giving less than $275. S. Marcus states that a door drop alone, if necessary would cost approximately $300 per building, but the President volunteers that he would fund a door drop personally. M. Katz raises issue that RIRA is not funding a fund raiser due to insufficient funding. THEREFORE, BE IT RESOLVED that RIRA joins the “Kill the Drill Coalition” in supporting an immediate ban on gas drilling within and without the New York City watershed. - Presentation by sponsor: Gas companies are buying drilling rights in out watershed. The NYC watershed overlays a natural gas source. There has been significant pressure on farmers upstate to sell the rights to their land. To access the natural gas, a company drills 6 miles under ground, then laterally in order to shoot high pressure water, which cracks the shale providing access to the gas. The gas is poisonous and the water is proprietarily protected so we do not know what they are putting into the system. Community Board 8 took decided to wait on forming a position until DEC made final determination. DEC has now determined that there is no danger and drilling is ok. The borough president of Manhattan has formed the Kill the Drill Coalition to oppose this continued action. - Question tabled pending email vote. º Parking on the east road along Goldwater Hospital, where currently “No Parking” signs are posted: We understand that these signs were to be removed (no one seems to know why they were installed in the first place). However, so far, the signs are still there preventing RI residents from using this road for legitimate parking. º Short term parking on Main St.: Metered parking on Main St. is a mix of long-term parking, 2 hours max, and short term parking, 40 minutes max. The short term parking is primarily for people who need to unload or load their cars or go to one of the stores for a quick purchase. The ISC suggests that the short term parking time be reduced to 20 minutes max, so there will be more turn-over of these spots for greater use to meet residents needs. This could help eliminate the frequent double-parking on Main St. by people unloading/loading their car. Double-parking is a major reason for tie-ups on Main St.
º Parking on East Main St. in Southtown: Frank Farance’s measurements suggest a parking lane could be installed on the east side of East Main. Others say no way. ISC will attempt to resolve this issue with RIOC. º Ticketing: Public Safety continues to be lax in ticketing overdue cars and inappropriate cars throughout RI. We need to press them to aggressively penalizing and/or removing these cars from our roads. The recent MTA - F Train report hints at a numbers of ways to increase the capacity of this subway. We need to press them on this. Meanwhile, the frequent outage of the public address system at the RI station has become a new concern. First the system needs to be fixed so it’s reliable for informing passengers about serious delays, changes in operation and for emergencies. We have several suggestions to offer MTA on how to handle important announcements when the P. A. system is down. Finally, there’s a safety issue on the walkway on the RI bridge. 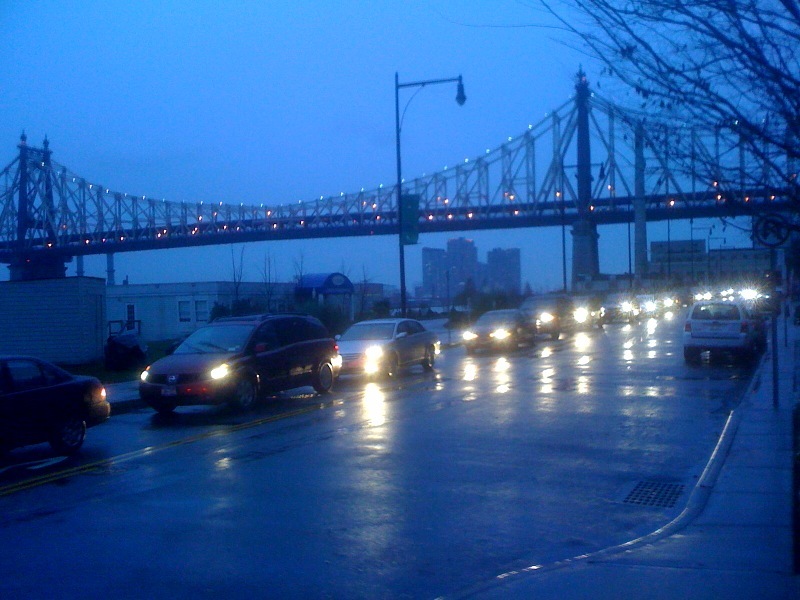 There is no protective railing on the traffic side of the Queens side portion of the bridge. It’s OK on the RI portion of the bridge. The ISC has lost 4 members in the last 6 months due to moving off RI, transfer to other RIRA activities and non-attendance. We are open for 2 – 3 members of the Common Council to join our Committee. Please contact the Chair. Manhattan Park RIRA representative Isabel Perez-Cruz sends the following public message of thanks and appreciation to a fellow Roosevelt Island resident who made a generous contribution to the children attending our local PS/Is 217. I would like to thank Mr. Barry Fox, a River Walk resident for a generous donation of a brand new rug for the 1st grade class in P.S./I.S. 217. Because two classes where merged, the 1s grade class grew to have 30 students in a room, that spend some of their morning routine sitting in a rug. Because this class became so big, there where some kids that did not fit in the rug and had to sit in the floor. Mainly thinking that winter is coming and the floor will get very cold, I brought this issue to the attention of Mr. Fox. He does not have any ties or relation to the school, but immediately agreed to donate a rug from his rug business. The rug was placed two weeks ago. This is an example of how Roosevelt Islanders come to the help of others in the best way they can. I really appreciate Mr. Fox generosity and Ms. Volpe, who originally put me in contact with him. 2. receive an update on the Verizon FIOS Roosevelt Island Project. The reasons for community opposition to the plan are summarized in a letter from the Blackwell Park Task Force to RIOC VP Of Planning and Inter-Governmental Affairs Rosina Abramson included in November 19 post. A new issue in the Blackwell Park Master Plan Redesign saga was raised by Ms. Abramson during November 20 RIOC Real Estate Development Committee meeting. Ms Abramson claimed that in addition to the Southtown Tot Lot being moved to Blackwell Park when construction of Riverwalk Buildings 7-9 commences, the Southtown Development Agreement requires RIOC to also move the Southtown Dog Run to Blackwell Park as well. The RIOC Directors present at the meeting (Kalkin, Polivoy and RIOC nominee Smith) were not pleased at the Dog Run news and were highly skeptical that this was part of the Agreement. They asked Ms. Abramson to show them where this provision compelling RIOC to install a Dog Run in Blackwell Park was in the Agreement. She was not able to do so at the meeting. 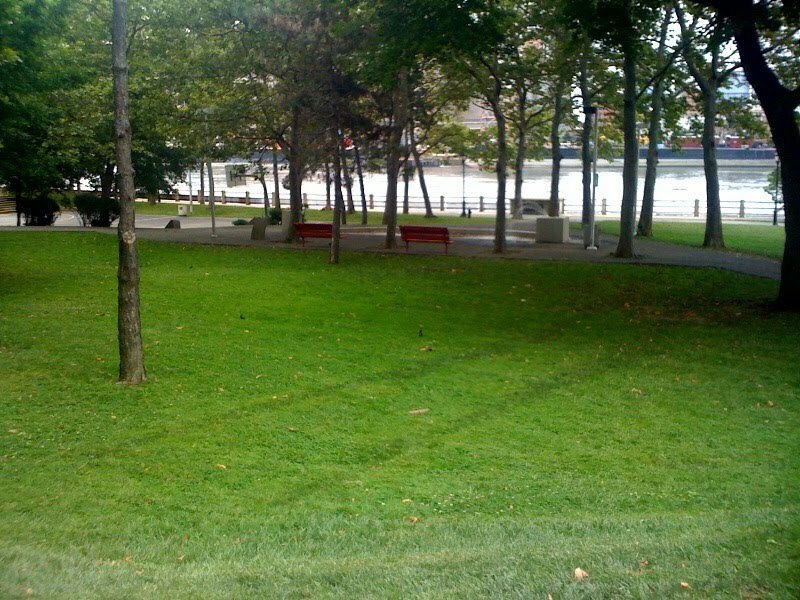 As you may know there has been quite alot of controversy on Roosevelt Island regarding RIOC's initial plan to re-make Blackwell Park. According to RIOC, the idea began because of the necessity to move the Southtown Tot lot from its current location if and when Riverwalk Building 7-9 start construction. As of now, the plan to alter Blackwell Park has been put on hold but a new issue was raised during the 11/10 Real Estate Committee meeting (which primarily discussed Main Street Master Leaseholder Plan) when RIOC's Rosina Abramson claimed that under the Southtown Development agreement RIOC was required to also include the current Southtown Dog Run in a re-developed Blackwell Park when Riverwalk Buildings 7-9 start contruction. From your perspective is that true - Is there a legal obligation upon RIOC to place the current Dog Run in a new Blackwell Park once construction starts on the new buildings? If so, what current portion of Blackwell Park would be removed. Basketball Courts, Fountain, Trees, Lawn etc? In my opinion a dog run for Blackwell Park will result in significant community opposition. I already see people, mostly from the new rental and condo building using adjacent Firemen's Field as a place to walk and let their dogs run unleashed. Why would anyone oppose a dog run? It was intended as a concession to the anti-dog crowd by giving our canine friends a place to congregate. What am I missing? This is what you may be missing. If the current Southtown Dog run planned to be removed sometime in the future is placed in Blackwell Park that means something that is now there and enjoyed will be removed given Blackwell Park's limited size. Blackwell Park, given the current boundaries, is not large enough to add a dog run to it. So the opposition is about what will be taken out of the current Blackwell Park if a dog run is placed there? The Basketball Courts, Fountain, Lawn, Trees etc? Separate and apart from this objection is also the objection to dog owners who do not properly take care of their pets, not cleaning up after them and allowing the dogs to run unleased even though there is a dog run currently available to them. Let's see what RIOC has to say about Blackwell Park conceptual plan at Wednesday's Operations Committee meeting. The webcast of the meeting will be available here. 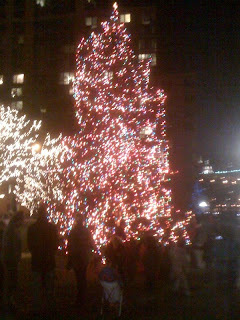 The 2009 Roosevelt Island Tree Lighting Ceremony will take place Thursday December 3 at 7 PM in front of Blackwell Plaza. 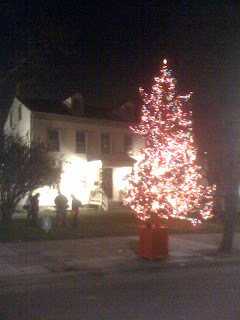 Live music by the Westside Brass Quartet, photo ops with Santa, hot cider, food, and gifts for all. Sponsored by RIOC. Could somebody please let the RIOC know that the majority of the audience (that is children) is solely interested in Santa and maybe see the tree light up? Please, do not let any children sing any songs anymore - at least let them practice until they have it down perfectly. It was so bad. 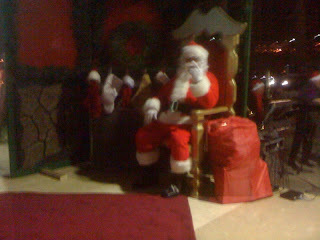 Especially with the weather and standing in the Santa line waiting desperately with young kids for Santa to show up. That woman (I forgot her name) was okay. Also, getting to Santa was sheer chaos. 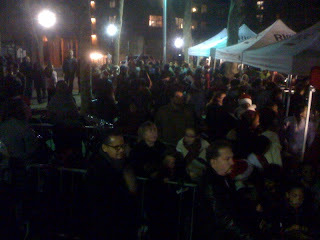 People ignored the line and let children push forward especially during the performances. When Santa time came nobody cared to go back to the line as it was formed. It was mad house. 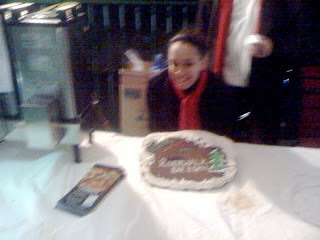 This was our first tree lighting ceremony here on the island. I expected better. I would happily accept that "Waaa" comment but I did talk to a lot of people and they all agreed with me that night. Santa: good. Tree: good. Old lady singing: okay. Kids singing: please, no. At least the speeches were kept short. No more Grinches. Here is one of my favorite Christmas/Winter songs, a wonderful version of Joni Mitchell's song River, sung by Sarah McLachlan. Lyrics to River are here. Also, the Rockefeller Center Tree Lighting Ceremony will take place on Wednesday December 2. 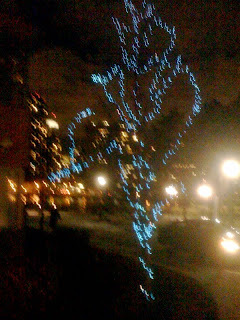 Have a great time at either or both the Roosevelt Island and Rockefeller Center Tree Lighting ceremonies! 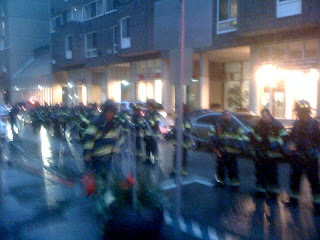 Manhattan 10-75 Box 1940 fire in an occupied multiple dwelling on Roosevelt Island. The fire this afternoon took place at 551 Main Street #203, which is an "Up apartment". FDNY extinguished the fire. The Fire Marshall informs that it started in a bedroom on the 2nd floor of the apartment. There is a possibility that it was caused by an electric blanket, but that has not been confirmed as of yet. The entire 2nd floor of the building was evacuated by PSD, including the residents of apartment 203, who I'm told are nuns from the church. Thankfully, there were no injuries. The Red Cross is on the scene. Google Android Cell Phone Application For Roosevelt Island GPS Red Bus Service - How Cool Is That! When thinking about New York City Sillicon Alley neighborhoods known for early adopter geeks and innovative use of wireless technology you might include, among others, Chelsea, Flatiron, Lower East Side and Williamsburg. Well, don't laugh but Roosevelt Island may be inching its way on that list as well with the introduction of a brand new Google Android Cell Phone Application for its residents. From Roosevelt Island resident Vinicius Fortuna. 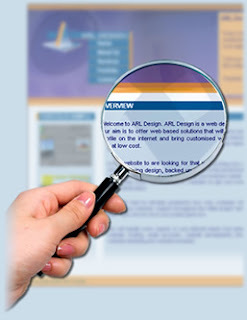 I wrote you before about the "Roosevelt Island Search Engine". Now I'm writing to let you know that I have recently launched the "Roosevelt Island Bus Tracker" for android phones. The idea is to track the red buses so you know whether you should wait or walk, and make your own predictions (since the ones from NextBus can be unreliable). You can also see how many buses are running at any moment. 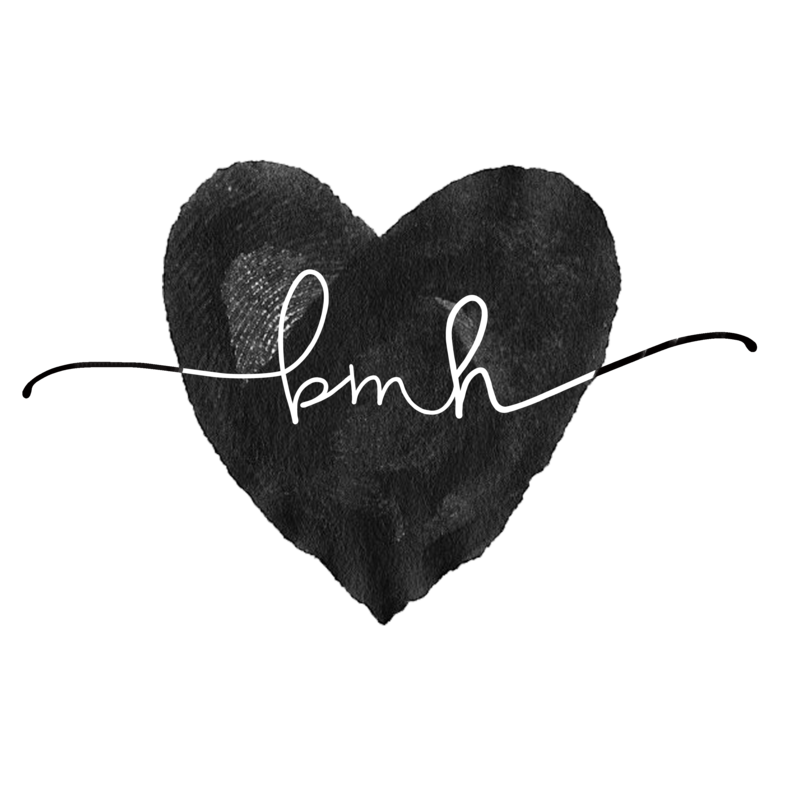 I hope you can give it a try, and feel free to post something in the blog. I use the Apple Iphone so can't use the application but if you use Android, give it a try. Vini is also working on additional features such as MTA advisories. Red Buses: Two new Hybrid Buses are delivered and on the street. Look for Numbers 5 and 6. The Nextbus system vendor has not been able to get the GPS transponders onto the new buses, so the reliability of Nextbus is temporarily up in the air. We are cooperating, but not in our control. 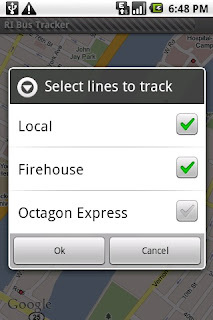 Contacted NEXTBUS.COM other day and they will be putting GPS trackers on the 2 new Roosevelt Island Red Buses by today! Nice!